Madison and Southern Wisconsin's source for pet news, reviews, events and more. Click here to see more adoptable pets in Wisconsin! Why does my cat roll over, then bite me when I pet his/her belly? Did You Know That Demodectic Mange Comes In Two Different Types? 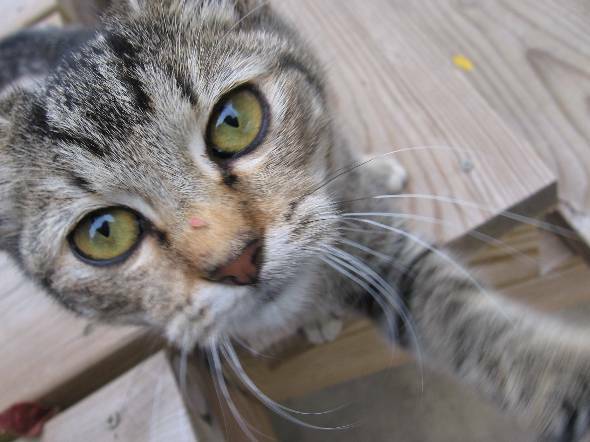 Why does my cat throw up so much? DCHS traditionally charges $40 to adopt an adult cat and $20 for a senior cat, but starting Thursday, October 27, and running through Sunday, October 30, DCHS is asking adopters to name their own adoption fee. People will be asked to fill in the blank when it comes to paying the adoption fees which include: spay/neuter surgery, distemper and rabies vaccinations, screening and/or treatment for fleas, ticks, mites, worms, ringworm, FeLV (feline leukemia) and FIV (feline immunodeficiency virus), a microchip, a 30-day health insurance policy, and a free bag of cat food from Mounds Pet Food Warehouse; a total value of over $200! “We’ve heard and read about similar promotions working in other communities,” said Gayle Viney, DCHS Public Relations Coordinator. “By asking people to pay what they think is fair, it encourages people to be invested in our mission to save pets beyond the mere price tag.” Recently published studies have shown that eliminating the adoption fees does not devalue the pet in the eyes of the adopter. Only the adoption fee is changing, all other DCHS adoption policies remain in effect. Welcoming a dog into your house can be a very exciting experience for new owners. However, there are many steps to take to ensure that your dog is fully acclimated to his new environment. Whether you’ve chosen to adopt a dog or found your new companion from a breeder or local shop, keep in mind these tips to help prepare for welcoming your dog into his new forever home. Often, very young puppies will have a difficult time adjusting to new surroundings and being without their mother. They may express their uneasiness through barking, whining or howling when they should be sleeping. Rest time was when they were closest to their mother and they still crave the nurturing she bestowed upon them. To help ease their homesick pains a warm water bottle wrapped well in towels, or a ticking clock can mimic the security their mother provided them. 2) Decide on crate training. Many find that crate training is one of the quickest methods for teaching boundaries. Crating does not have to be a negative experience; many dogs love their crate as they know it is their own secure, quiet spot to rest. Also, crate training gives owners peace of mind to know their dog will not get into trouble when they aren’t available to oversee their exploring. For those who are welcoming an adopted dog home it is recommended to find out from the shelter what methods were used to train him, as it may be difficult to crate train a dog that is unfamiliar with this process. 3) Know his nutritional needs. A veterinarian can help recommend food and nutritional supplements for your dog based on age, breed and build. Typically, many prefer to research all-natural dog products that are gentler on a dog’s system than store-bought canned items. Speak to a professional and find out what products are available, and that fall within your price range! Outside of the traditional “sit” and “stay” commands, puppies need to understand how to control their playful energy. Often times an abundance of energy can lead to negative behaviors such as jumping, nipping and stealing of food. These actions can be controlled with some training, which will help them develop into a pleasant companions and social pets. There are a variety of do-it-yourself training methods available, or perhaps a professional dog trainer would be of use to your dog’s needs. This is a critical part of your dog’s development. 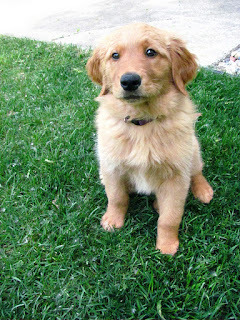 Dogs that are exposed to many different types of people and animals are more comfortable roaming in the outside world. They will learn how to greet others and not fear other dogs. Liz Demcsak is a writer from Wet Nose Guide, a nationwide dog care directory for owners on the go. When you’re on the road, let Wet Nose Guide help you find everything from dog vets to dog runs to make your pup feel right at home wherever life may bring you. 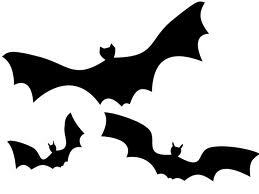 Join us for a Spooktacular time! We use interaction with our specially-trained therapy animals as a healing tool for children to work through emotional, physical and behavioral problems. When conventional therapy isunable to reach a child, animals and their unconditional love, trust, patience and support areused to assist in healing and to reachgoals,which have been set by therapists, special education teachers, counselors, parents, and guardians. All well-behaved leashed pups are welcome. With photography by Trina K. Images. All photos taken through out the day will be entered into the costume contest. $5 suggested donation at the door. Donation automatically enters you in the drawing. Drawing has prizes from many local vendors and stores! 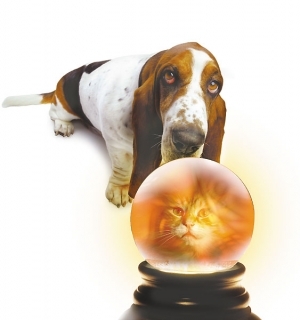 Guest Post: Just what is a Pet Psychic? can successfully help pet owners with many behavioral issues, health issues, etc. 1. Obtaining relevant knowledge pertaining to recent pet behaviors. Consider your pet psychic the public relations pro for animal whispering. Pet psychics are trained to be able to speak with animals through mental images and with the tactful intention of drawing out information about your pet’s recent behaviors. This can be helpful for both practical purposes (i.e. your cat has been clawing at your couch more than usual), or long-term relationship purposes (i.e. your dog snaps when you come near). Negotiations between a pet psychic and the animal are timely and effective in part because a psychic is not required to see the animal in person. Following a brief visual description, a pet psychic is able to talk to the animal via phone. 2. Understanding your pet’s health issues. Having a solid grip on what your pet is feeling is often very difficult for pet owners. For the empathetic pet owner, this can be an incredibly frustrating lack of knowledge; a veterinarian can tell you what health issues a pet may have, but he/she cannot tell you exactly what they feel. A pet psychic offers a direct line of communication that can lead to a better understanding of what pain an animal may be feeling, and recommendations on what can be done about it. This is especially useful in the case of pets that have a terminal disease and may wish to experience an end to their suffering. 3. Relocating a missing pet. Not knowing the whereabouts or the fate of a missing pet can be stressful and even devastating; a pet psychic can help locate how many miles away an animal is or draw out a description of their location through a simple phone session. 4. Easing the pain of grief. Some pet psychics specialize in communicating with animals that have already passed, easing the grieving process for mourning pet owners. Understanding what a pet experienced in its last moments and accomplishing mind-easing closure can be priceless for the weary of heart. The most important takeaway is that pet psychics are able to get us more in touch with our animal loved ones. 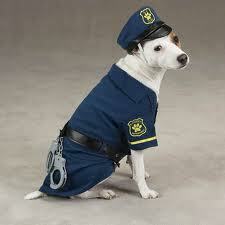 Any owner will know that if you truly love your pet, you will do anything to work through an issue. If your animal’s problem is more complex than something barking a few commands can fix, a pet psychic may be the right path for you. This post was written by Psychic Source, an online psychic network where you can find anything from a clairvoyant who can read your senses just be talking to you, or a tarot reader who can provide an enlightening tarot reading. 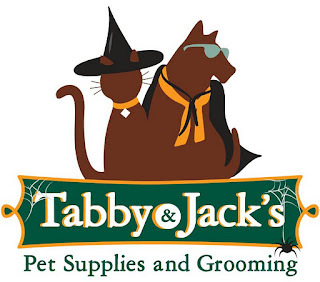 Tabby & Jack's: BIG SALE OCTOBER 8, 2011!!! ~ 6lb bags of Lotus Dog or Cat Food ~ 2.2lb bags of Nature's Variety Instinct Cat Food ~ Plato Thinkers Treat Bags ~ 1lb Deli Fresh Chubs ~ Canned Dog or Cat Food ~ A 10lb box of Zeal Honest Kitchen Dog food ~ Mighty Treats Flavor Booster for Pet Food ~ Tickets to our Howl-O-Ween Party ~ And More! This sale is going to be spooktacular! Trina K. Images will be at our Fitchburg Store from 3:30pm-5pm on Saturday taking pictures for the Howl-O-Ween Costume Contest! Stop by in costume, or get yours at the sale! One of the challenges of owning a pet is making sure that there is someone appropriate who can care for your beloved pet. This is true no matter what kind of animal you have. However, if you own a bearded dragon, you may find that it’s not that easy to get someone to pet sit your animal for you, especially if your neighbor has other animals in the home. Reptiles can be quite intimidating for many people so if you’re planning a trip, you can be faced with a dilemma whether you should leave it at home or take it along. This decision will be based on where you are going and how long you are leaving for. If you’ll be out for a few days and you can manage to get a friend, neighbor or someone else to pet sit your animal, then you may want to consider leaving your bearded dragon behind. Bearded dragons can be quite sensitive to their environment so having it moved around and jostled can be quite upsetting for it. Having a warm and familiar environment is less stressful for your pet rather than having it moved around, even if you are there for the ride. Now if you can’t leave your bearded dragon and you must or want to take it along, there are some things you need to do to prepare for the trip. First, make sure that the airline you will use knows that you are taking an animal with you. It’s very likely that you have to check in your pet with cargo as other passengers on the plan may not take well to having a reptile on board. Also, the hotel or place where you will be staying at needs to be made aware of the added guest. The last thing you want is to get kicked out or refused stay because you brought a pet along. Choose pet friendly hotels. If you are staying at a friend’s house, give them a head’s up so he isn’t freaked out by a surprise visitor. Prep your pet for a car ride if you’re going by land. Place it in a cat carrier for a few days to accustom your pet to the traveling case. If you plan to drive, you need to keep your pet warm. It’s a good idea to place its cage or by the window where it can get a lot of sunlight. Bring your own water and food to keep things familiar. 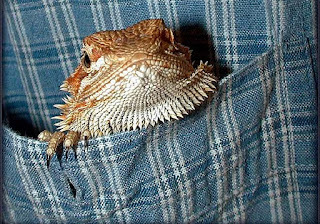 These simple tips can go a long way in ensuring the comfort of your beardie whether you decide to leave it at home or take it along for the ride. Mario Ross is the author of the free eBook "Bearded Dragon Quick Start". 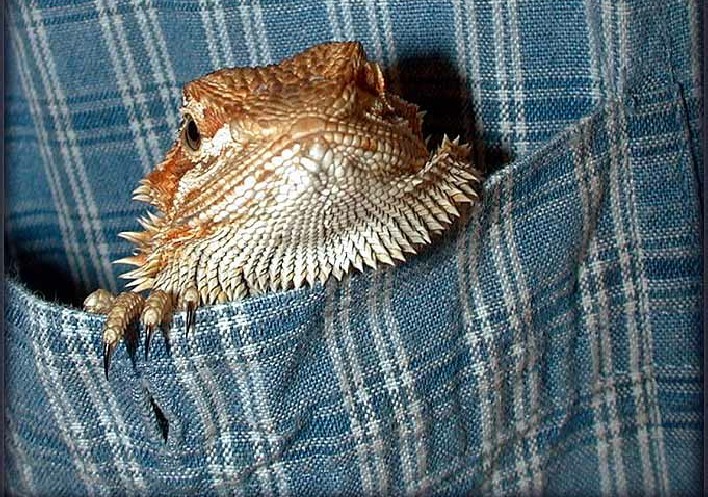 His blog will provide useful bearded dragon care sheets and he is offering his eBook free of charge to anyone interested in keeping bearded dragons as pets. If you know of an upcoming event, a cool product, a new pet supply shop, etc. in the Madison, WI area, please let me know! Copyright 2016 | Mad About Pets!